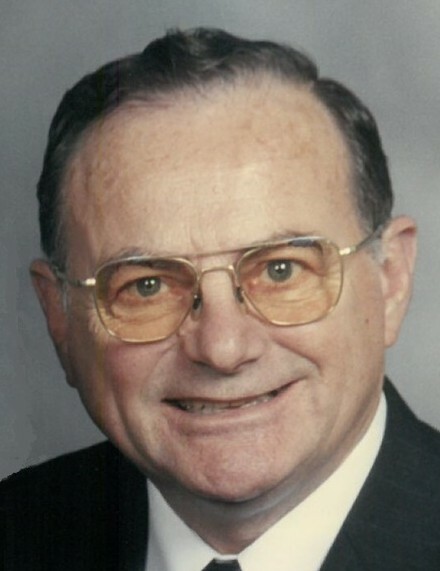 Charles R. Downing, age 78, formerly of Urbana, Ohio passed away Sunday morning March 31, 2019, at the Ohio Masonic Home in Springfield, Ohio. Chuck was born in DeGraff, Ohio March 25, 1941, to the late Glenn Kennedy and Beulah M. (Petty) Downing Sr. He was also preceded in death by a brother, Glenn K. Downing Jr. and a sister, Jean Ann Humble. Chuck married Carolyn J. King November 6, 1960 in Bellefontaine and she survives in Springfield. He is also survived by children, Lynda (Jeffrey) Livingston of St. Paris, Ohio and Wayne (Susan) Downing of Zanesfield, Ohio; seven grandchildren, Jacob Livingston, Ethan (Kara) Livingston, Seth Livingston, Evan Downing, Morgan (Austin) Newlove, Davis Downing, and Thia Downing; a sister, Joyce (Donny) Altmaier of Marysville, Ohio; a brother, Norman (Joyce) Downing of Sebring, Florida; a sister-in-law, Patty Downing of Ostrander, Ohio and several nieces and nephews. A 1960 graduate of Milford Center Union Local School, Chuck was a veteran of the United States Army. He was a delivery driver for UPS and retired after twenty years. Chuck was a fifty year member of the Free & Accepted Masons, a Past Master of Boggs Lodge F&AM in DeGraff and a member of the Order of Eastern Star in Bellefontaine, Ohio. He was a former co-owner of the Main News & Smoke Shop in Urbana for many years and also Knobby’s Shop in Piqua, Ohio. Chuck enjoyed riding motorcycles, collecting guns and spending time with his family. Friends may call at the St. Paris United Methodist Church Friday, April 5, 2019 from 4 to 7 P.M. with a Masonic Service at 7 P.M.
Pastors Dave Kepple and Wayne Downing will officiate the funeral service Saturday, April 6, 2019 at 11 A.M. at the church. Burial will be at a later date at the Greenwood-Union Cemetery in DeGraff. The arrangements are under the direction of the staff of the Daring & Sanford Funeral Home, DeGraff.